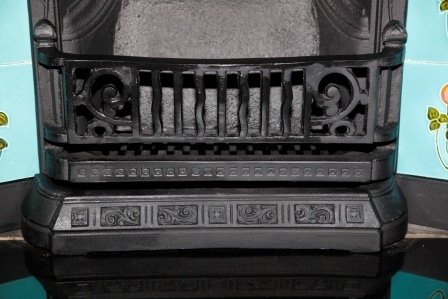 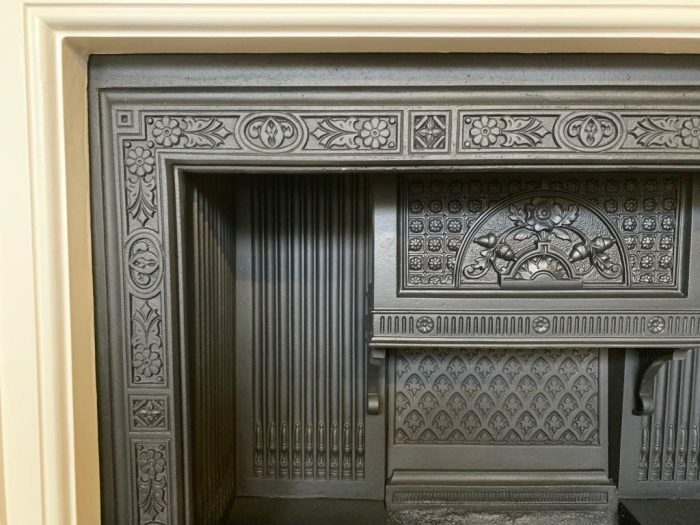 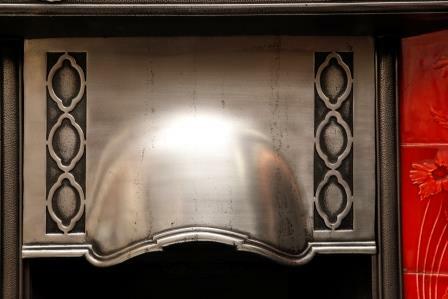 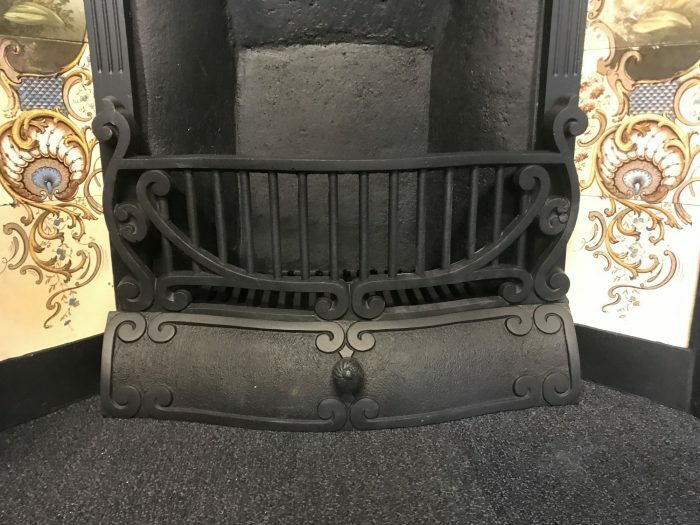 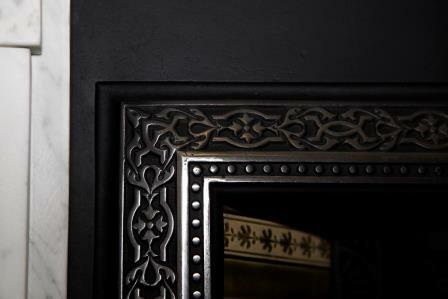 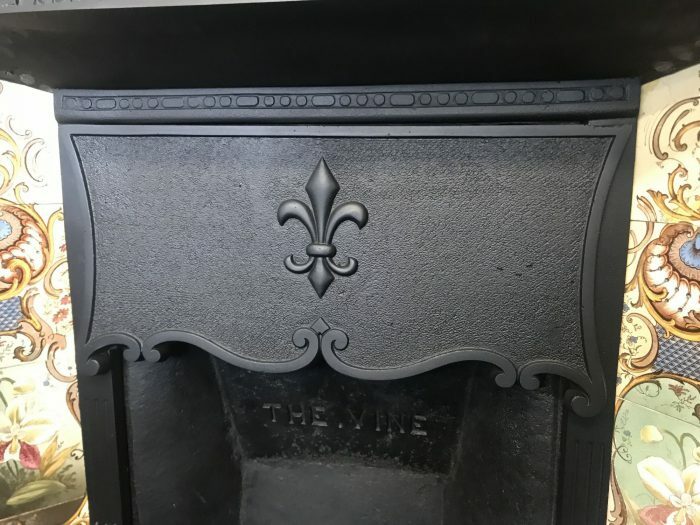 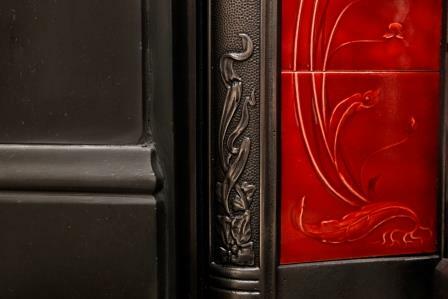 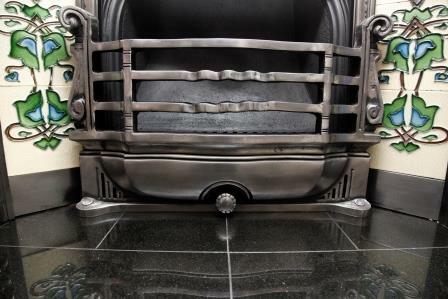 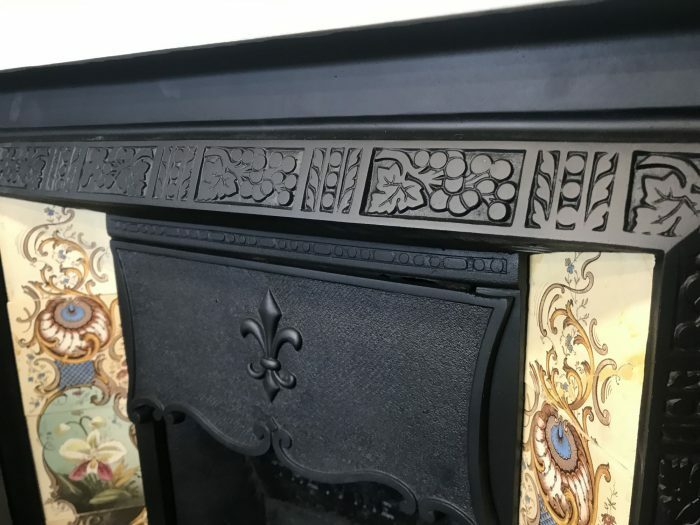 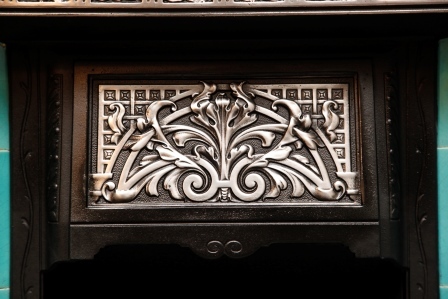 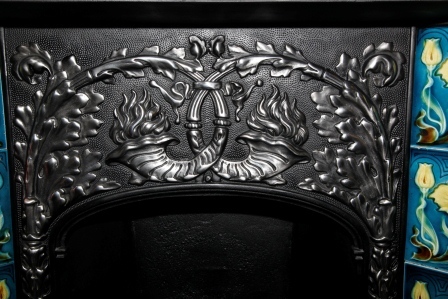 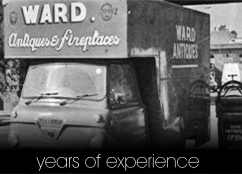 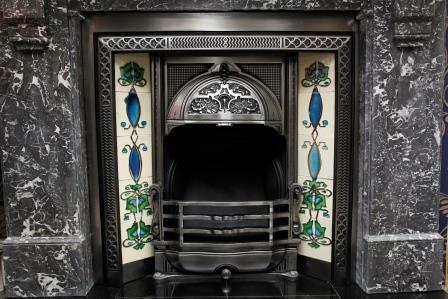 Every fireplace is cleaned and re-finished if necessary before delivery or collection. 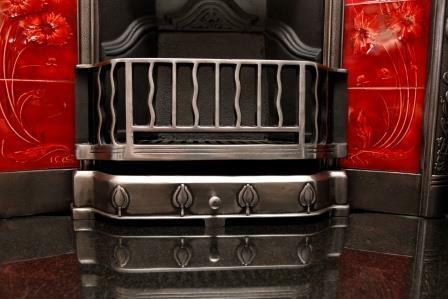 Whilst every care is taken, measurements are approximate and should only be used as a guide. 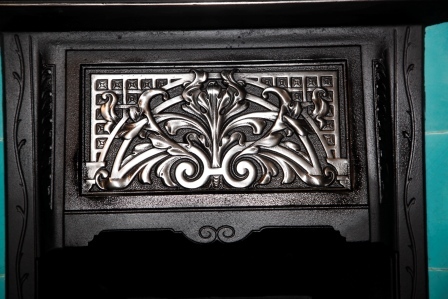 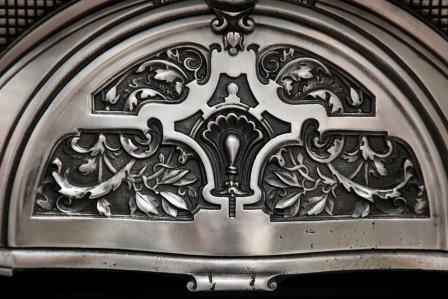 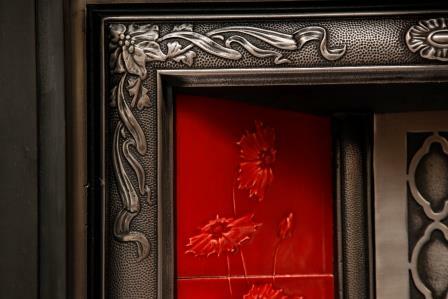 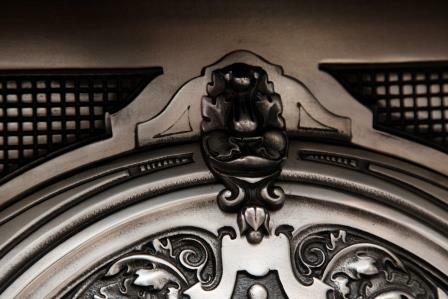 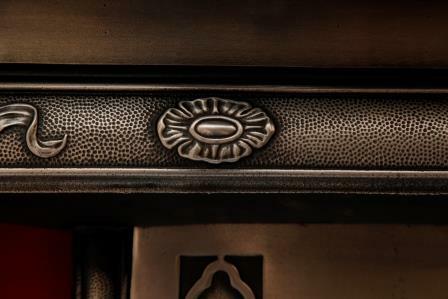 A very nice Victorian insert in a highlight finish. 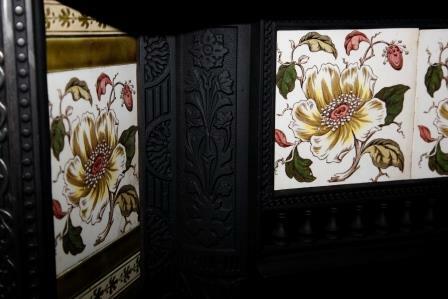 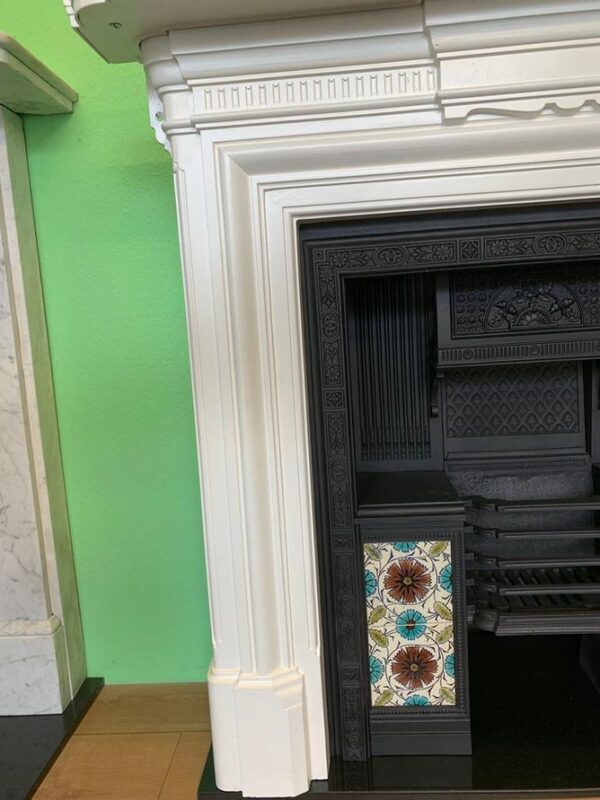 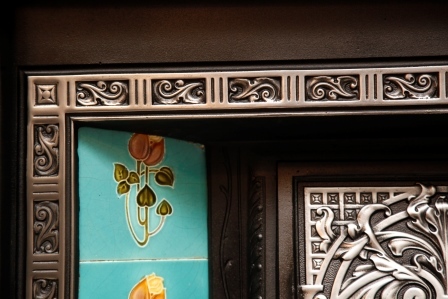 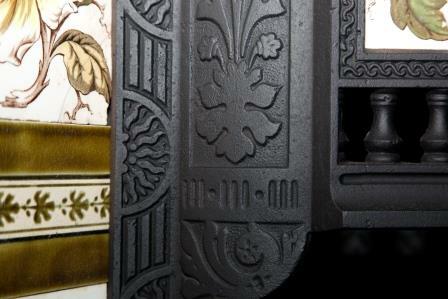 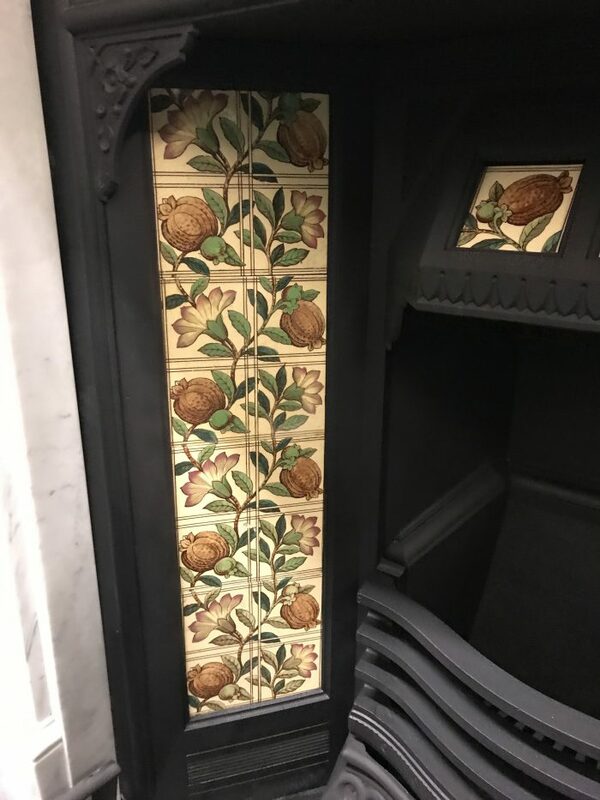 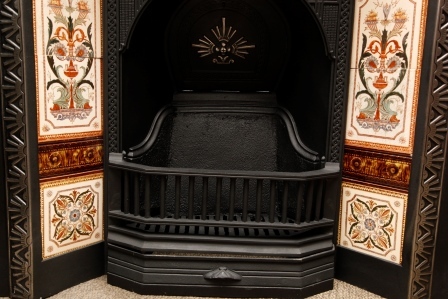 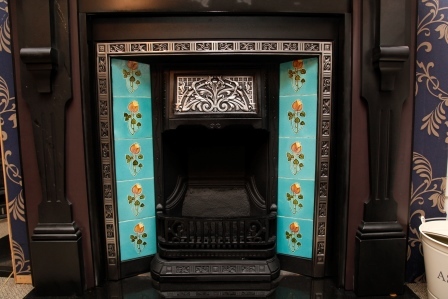 The Churchill tiled Victorian insert with original tiles. 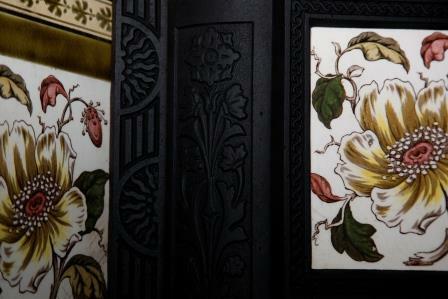 By sherwin & Cotton circa 1877 - 1900. 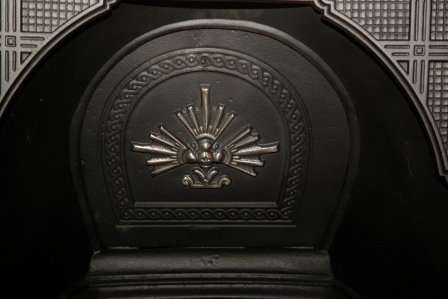 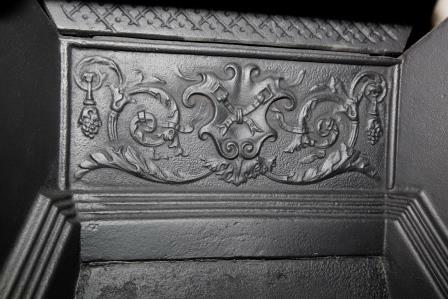 The cast iron insert has a date lozenge for 16 April 1883. 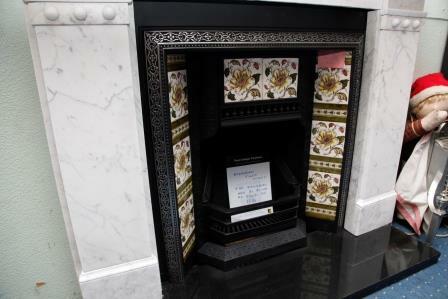 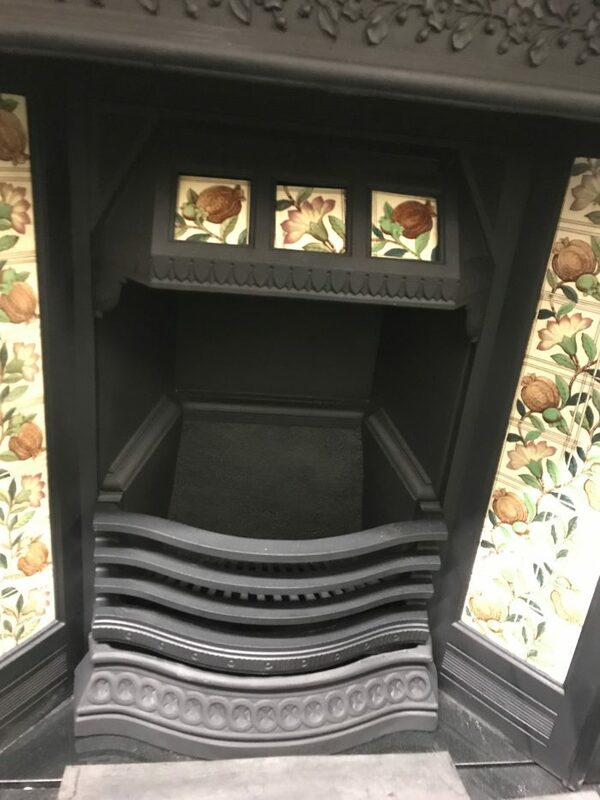 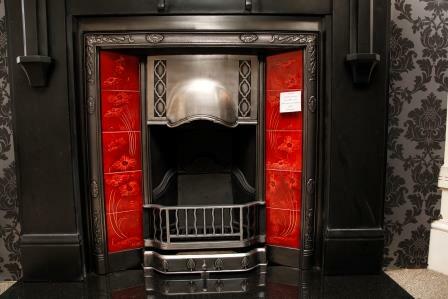 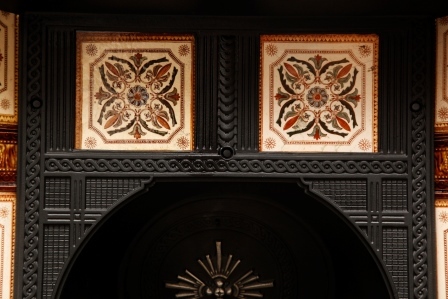 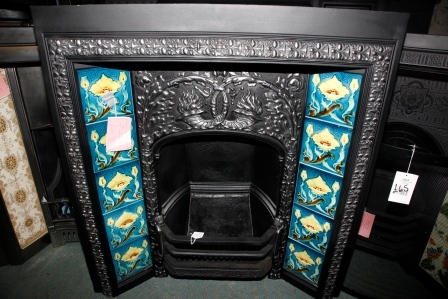 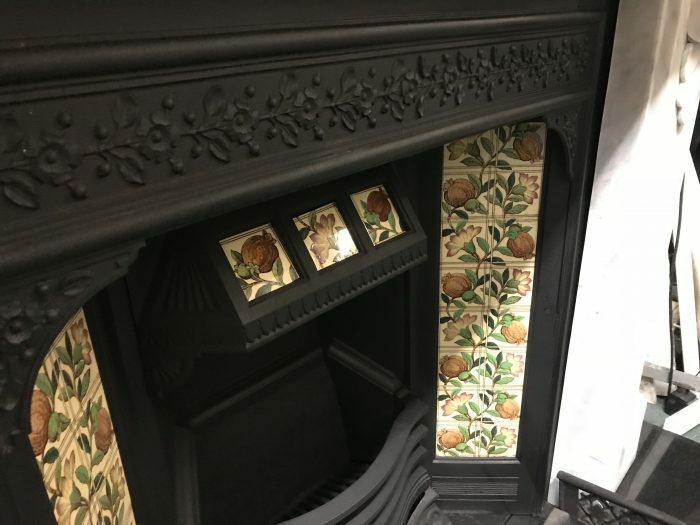 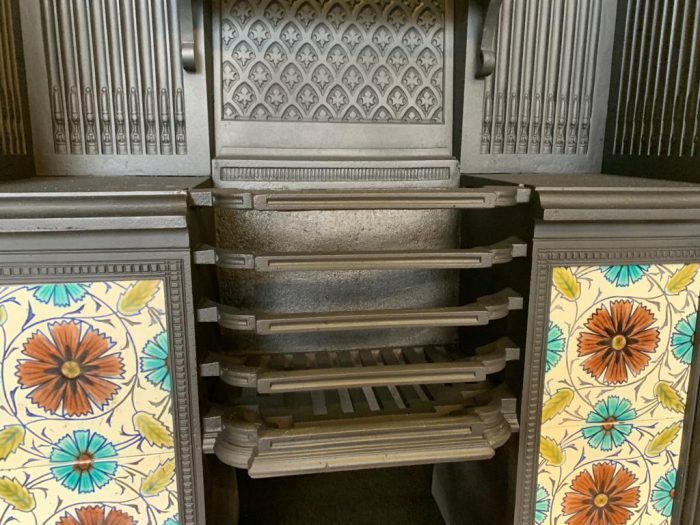 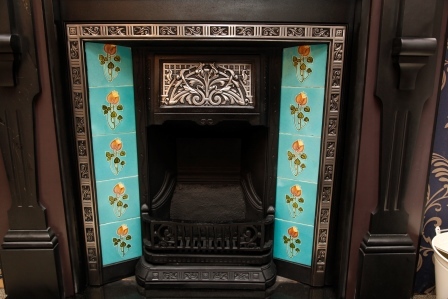 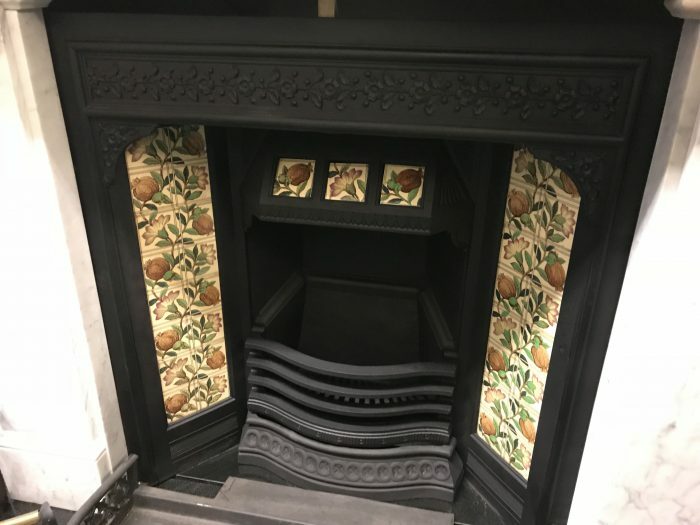 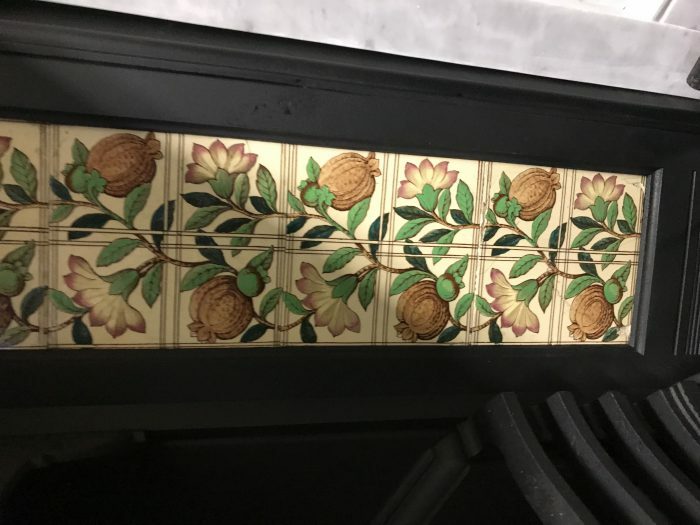 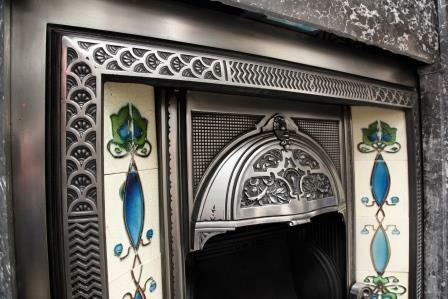 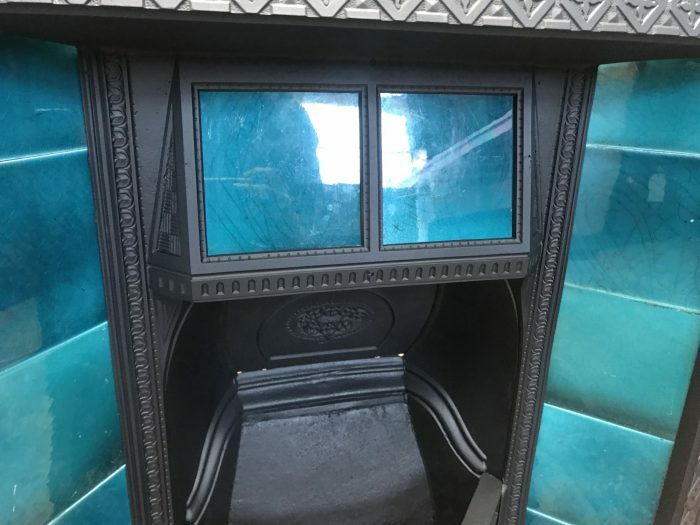 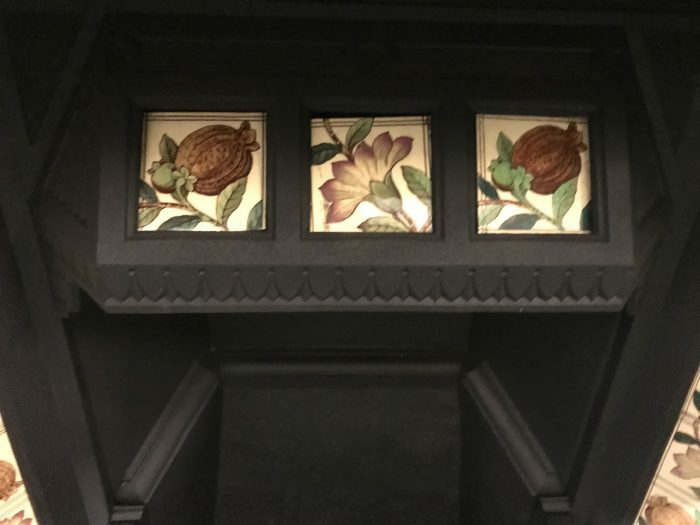 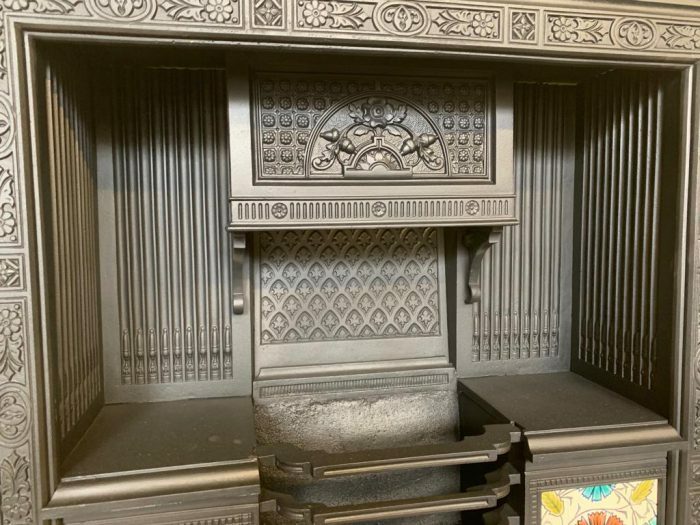 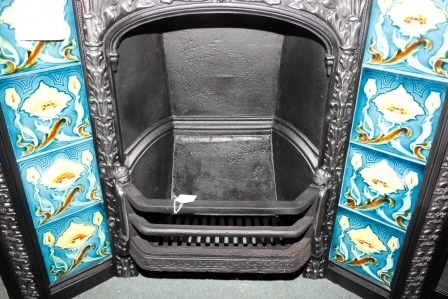 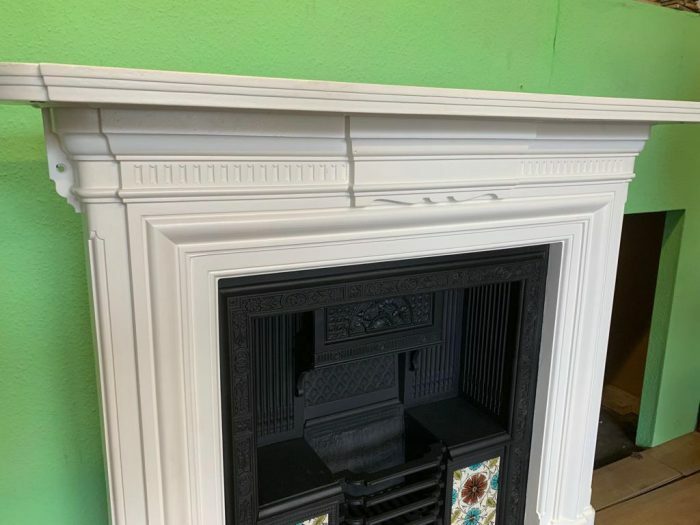 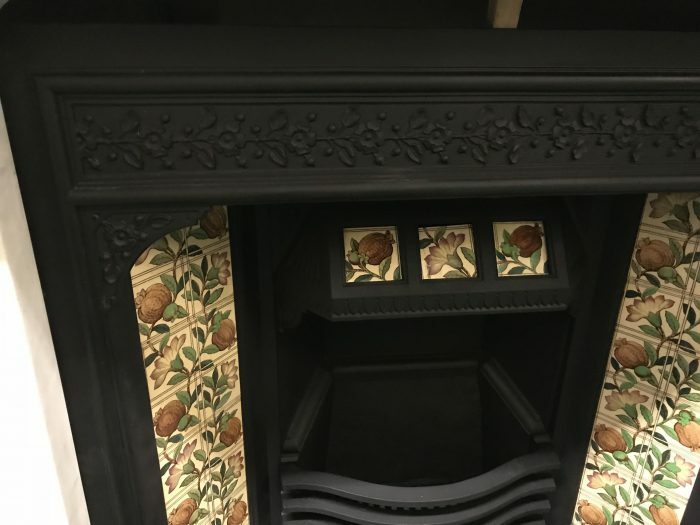 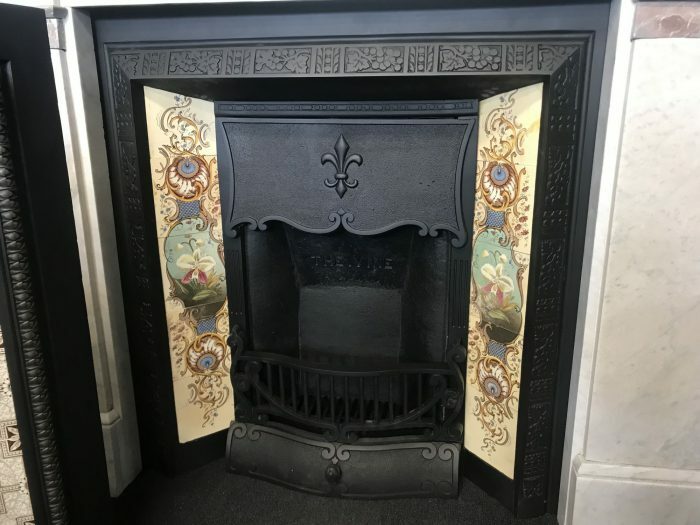 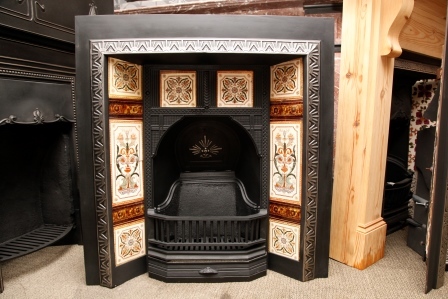 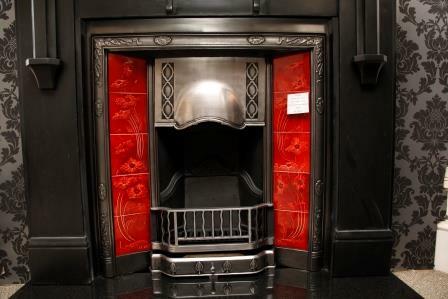 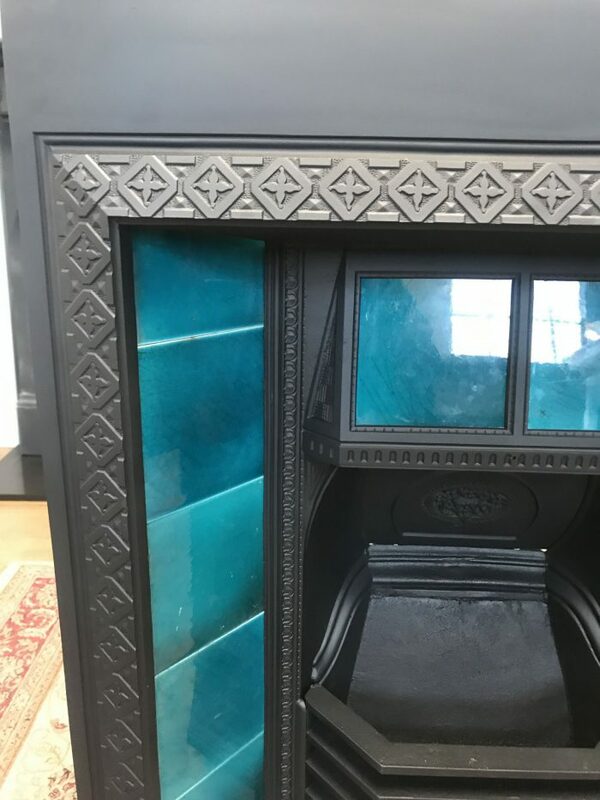 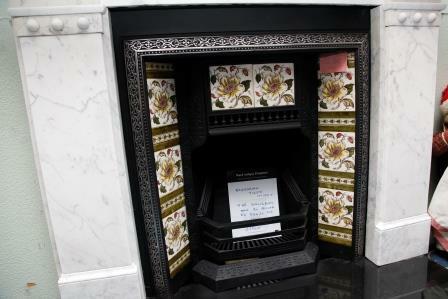 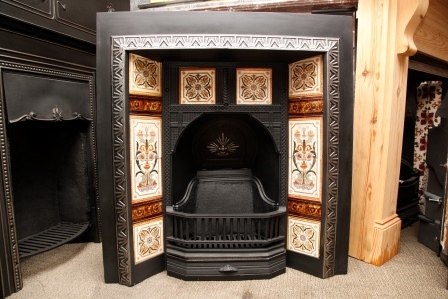 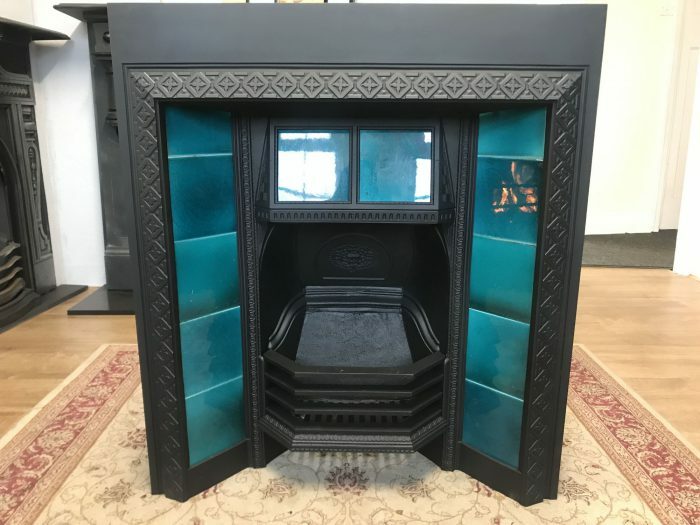 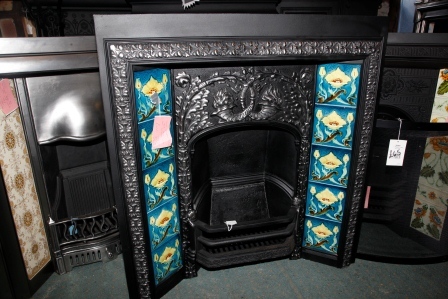 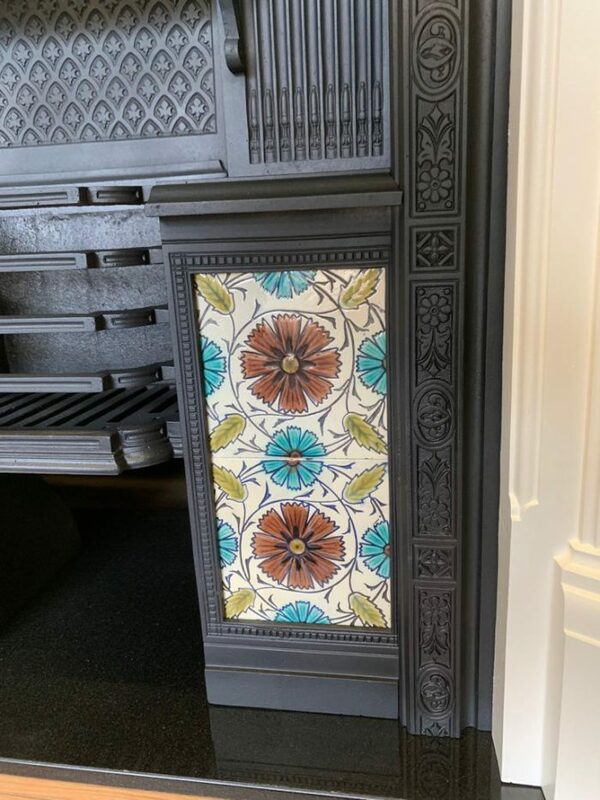 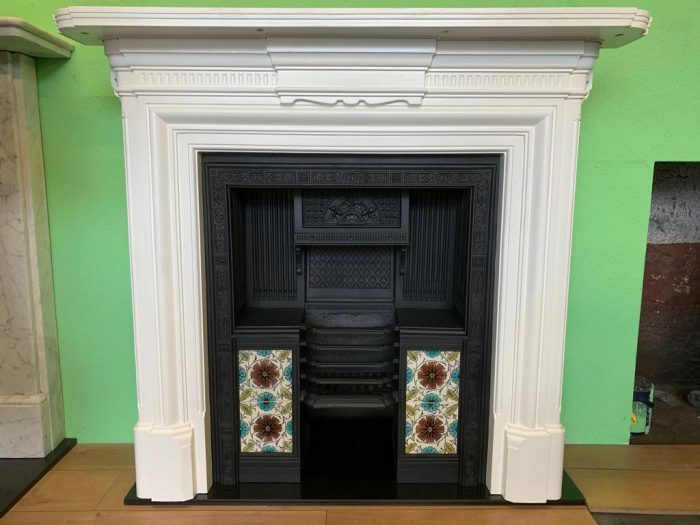 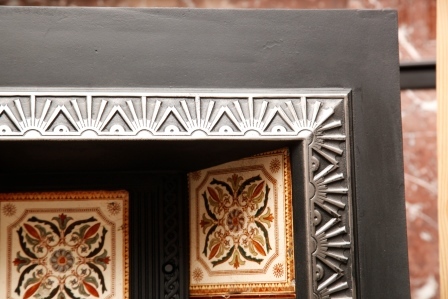 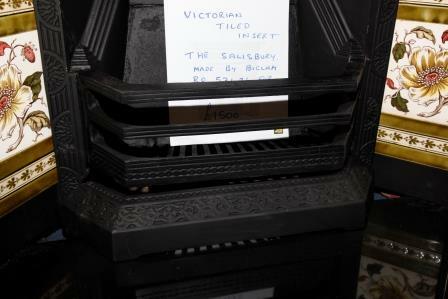 Victorian tiled insert with RD 47176 for 1886. 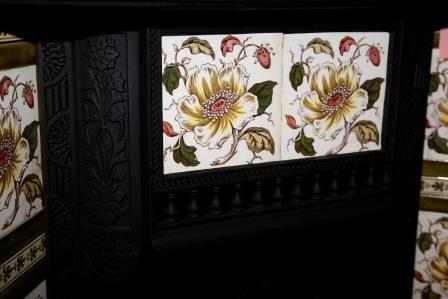 Shown with an original set of tiles sold separately. 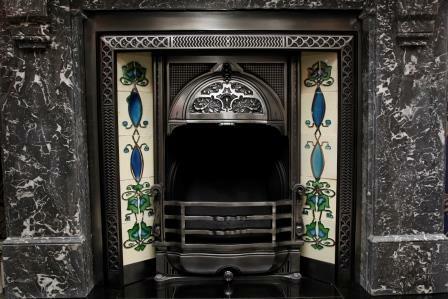 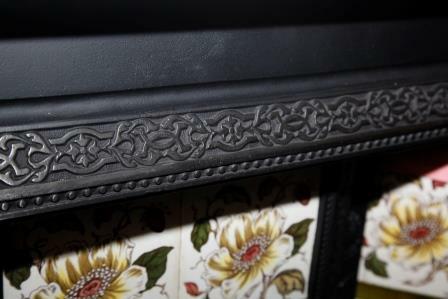 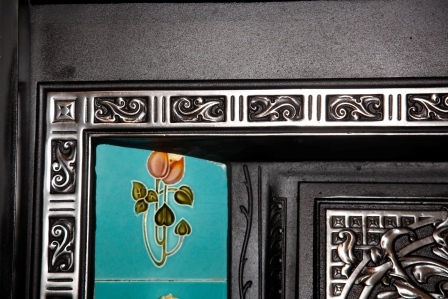 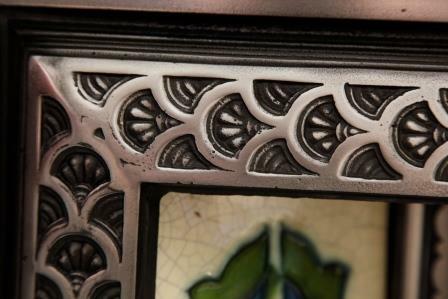 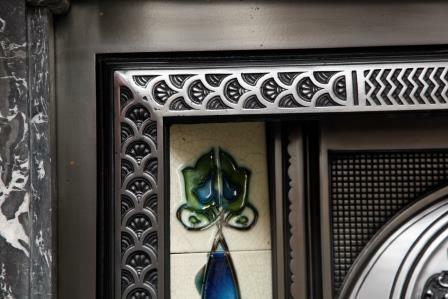 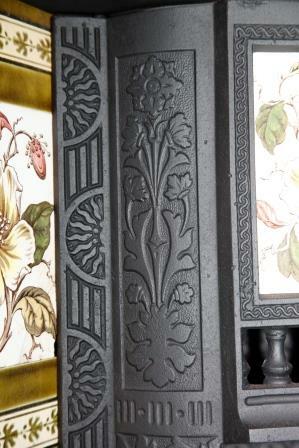 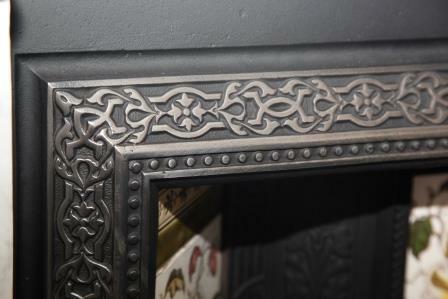 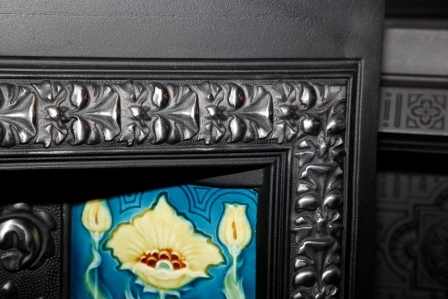 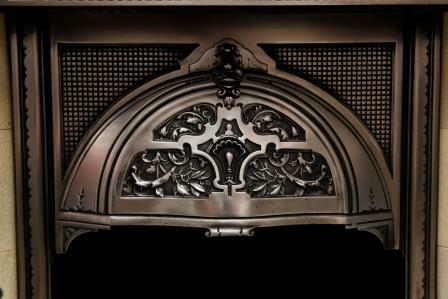 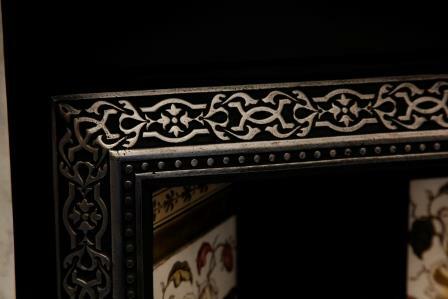 'The Vine' Art Nouveau tiled insert with rare slow burning fret. 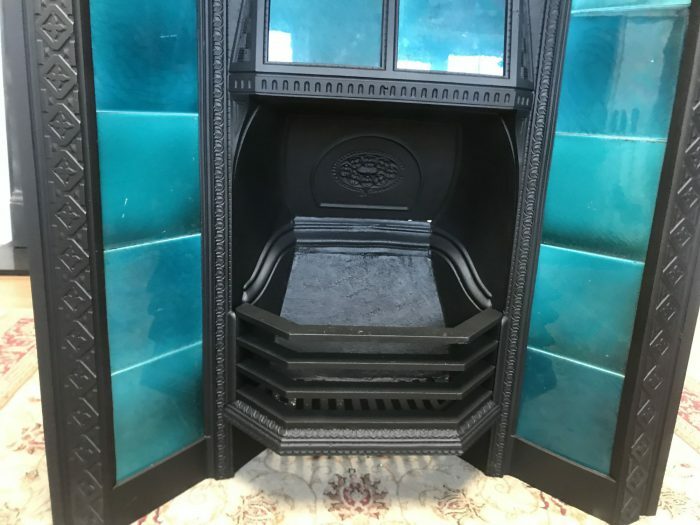 RD 242 454 for 1894. 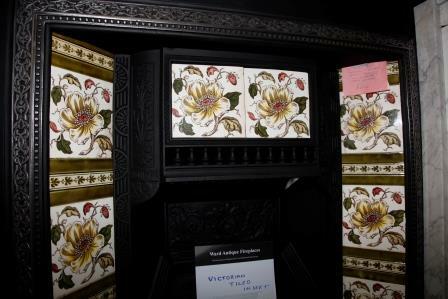 Shown with an original set of tiles sold separately.